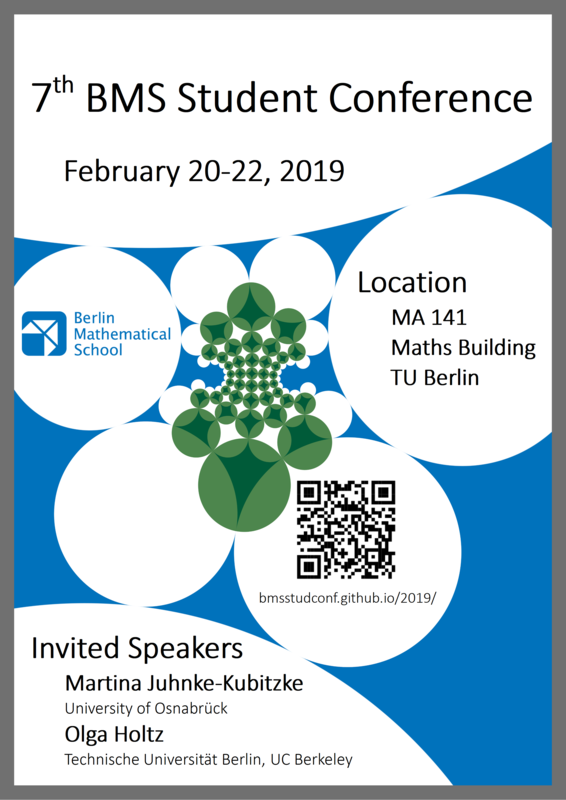 The 7th BMS Student Conference will take place, directly after the BMS Days, from the 20th to the 22nd of February of 2019 in Berlin. In this conference, several BMS students will present part of their mathematical research or thoughts on a variety of topics. Additionally, the conference will count with two invited speakers, a social event and a social event of Wine and Cheese. Every person in Berlin with an interest in mathematics is welcome to register for free and attend the conference. • 22/02/2019. The conference was successful. • 22/02/2019. Pictures and videos of the talks will be made available (given speakers' permission) in the future. The conference will take place in the mathematics building of Technische Universität Berlin (at Straße des 17. Juni 136, 10623 Berlin). All talks will take place in the room MA 141. The Wine and Cheese event will take place in the BMS Lounge at TU Berlin, one floor upstairs. 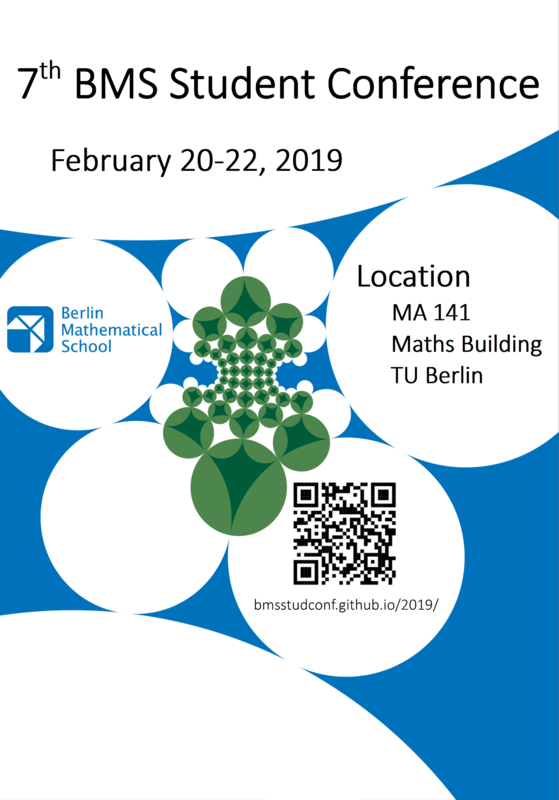 The BMS Student Conference is funded by the Berlin Mathematical School and is organized by the 2018 BMS Student Representatives Simona Boyadzhiyska, Candan Güdücü, Michael Rothgang, Massimo Secci, and Nicola Vassena. Click here to learn more about previous editions of this conference.